The way the logistics industry has evolved in recent years has been nothing short of remarkable. The sector as a whole has embraced the digital revolution entirely, leading to far more mobile warehouse inventory management that allows companies to track almost everything in their warehouses in real time and significantly boosting efficiency and productivity across the board. However, outside those facilities, some problems still linger, and companies may have to do a better job of coordinating with suppliers and shipping firms to ensure maximum efficiency across the entire supply chain. When warehousing firms think about how they can get the most out of their use of third-party or private shipping efforts, they don't just worry about cost any more, according to the latest Annual Study of Logistics and Transportation Trends from Logistics Management. As recently as last year, most companies saw cutting shipping costs as their biggest goal in that aspect of the supply chain, but now it actually trails improving customer service as the top priority by a slim margin. Indeed, experts note there is something of an inverse relationship between getting better at handling costs and improving customer service, the report said. While it's possible to improve companies' edge in both regards, it's certainly not easy, and usually companies that reduce their shipping costs will see a decline in customer service quality. That may be especially true when it comes to perhaps the most important aspect of these changes: reducing shipping times as consumer expectations increase. "Understanding transportation pricing should rely heavily on data science," Tommy Barnes, president of project44, told the site. "Currently, there are a lot of decisions being made without a firm grasp and understanding of how they will affect transportation costs – both in the short-term and long-term." 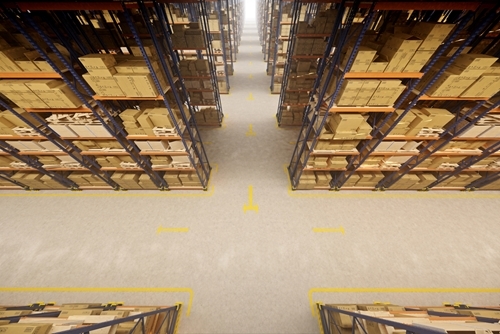 The good news is that major third-party logistics providers continue to improve the data that comes with their own shipping efforts, and that, in turn, helps give warehousing companies more insight into the best options available to them, Logistics Management noted. Now, shippers are giving companies greater power to track packages at every step of the supply chain, providing them with actionable data to make the most informed decisions from door to door to door. Along those lines, experts believe that logistics companies and shipping firms have more to gain from long-term relationships now than ever before, and that shippers with top technology options will be the ones that stand out in their field going forward, according to another Logistics Management report. Shipping companies may be wise see themselves in something of a support role here, but they can still overcome many of the issues that linger in the industry by working more closely with their warehousing partners. The more data sharing that can be done, when it's needed, the better off both types of firms are likely to be as they work to simultaneously increase the quality of the customer experience and keep shipping times as small as possible.